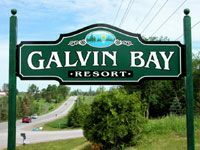 A true campground-centered experience enhanced by a resort stay awaits visitors to Galvin Bay Resort in Ontario. Families will love making cherished memories around a fire-pit, go swimming in the heated outdoor pool, and enjoy the hot tub. 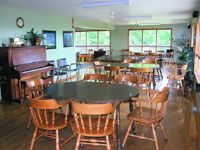 How about the kid's playground, shuffleboard, an outdoor pavilion, a library and a recreation building with satellite television? These home-like comforts blend perfectly with a taste of the rustic outdoors to create a blissful stay. 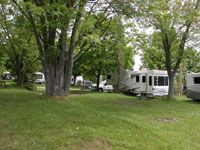 With campground memberships for sale at Galvin Bay Resort, visitors will love the diverse amenities like Wi-Fi hot-spots to help them stay connected with friends and loved ones, modern restrooms with showers, laundry area, storage for an RV, and nearby lakes with all the adventure afforded by lakeside living. 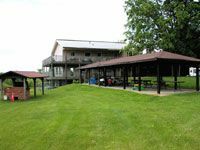 At the nearby parks and lakes, everyone will love visiting the sandy beach, craft shows, boutiques, boat docking, fishing and a variety of restaurants that appeal to many tastes. Peterborough is nearby, offering opportunities for playing world-class golf, boating or fishing on local waterways, arts, craft and Jazz festivals, antique shopping, browsing local boutiques for collectibles and art creations, and live performances at the Children's Stage Lakefield. This Victorian-styled town offers a fascinating glimpse into history through an enchanting walking tour. Outdoor vacation living has never been more interesting than with these campground memberships for sale. 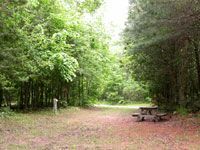 Ontario offers such a wealth of outdoor pursuits and fascinating indoor recreational opportunities that everyone in the family will stay entertained. This Karwatha Lakes tourism area attracts visitors from around the world, and a stay at Galvin Bay Resort gives you the best of this fascinating region. You'll enjoy comfortable, resort-style amenities perfectly blended with plenty of outdoor recreational opportunities. Breathe in the fresh Canadian air and be enchanted by the variety of fun things to do and see. Lifetime memories are waiting to be made in fascinating Ontario. Experience blissful relaxation combined with just the right amount of excitement to keep things interesting. Just remember to preserve your memories with photos! Contact Galvin Bay Resorts Specialist Today!